Your homeowner’s insurance pays for damages only when the insured property in question is covered. A covered loss, or a covered peril, could be your roof during the event of a fire, or your garden shed during the event of a hurricane. 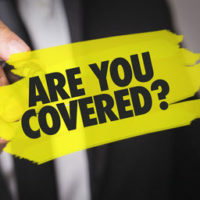 An attorney can help you figure out what is covered in your policy if your property was recently damaged and your insurance company is refusing to pay. The specific insurance policy that you have, as well as any additional options that you chose to purchase, is determinative of whether your insurance policy covers damage to your home. For example, if your house was destroyed by a sinkhole, and you did not purchase sinkhole insurance as an additional option from your insurance company, you will likely have a difficult time securing payment. That is, unless you can prove that the sinkhole was “catastrophic ground cover collapse.” Florida has peculiar legal wording regarding sinkholes and catastrophic ground cover collapse. While they are geologically the same thing, the legal definition is slightly different and Florida law only requires general homeowner’s policies to cover the later. Additional Living Expenses – If your home becomes uninhabitable, your insurance company will pay for your additional living expenses, such as a hotel and restaurant meals, for a normal standard of living that is “over and above” your normal costs of living, according to the Insurance Information Institute. Whether your home is up to code. It is important to understand your homeowner’s policy to its fullest extent before you purchase it, and to have an attorney look over it when you suffer property damage. Insurance companies typically attempt to get away with paying nothing or as little as possible, even when you have suffered a covered loss. Your insurance company may offer you a low amount in hopes that you will take it and not think to talk to an attorney to find out how much they should really be paying. Call the West Palm Beach law offices of the Celeste Law Firm today.